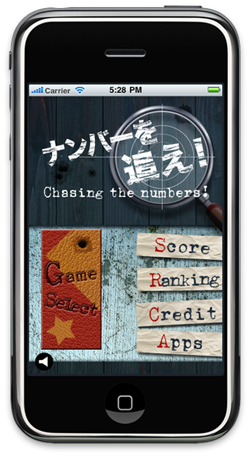 iPhone application “Chasing the numbers!”. 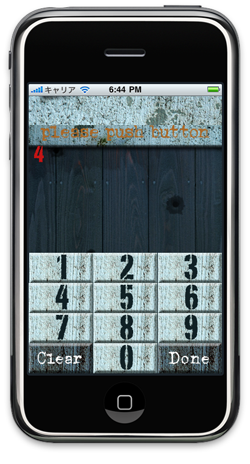 - AMUZENET, Inc.
Quick and simple numbers game! Press the number key that is shown on the screan as quick as possile. Contest in how long did you take to push all 10 numbers. Everytime you answer 2 questions, one digit will be added. 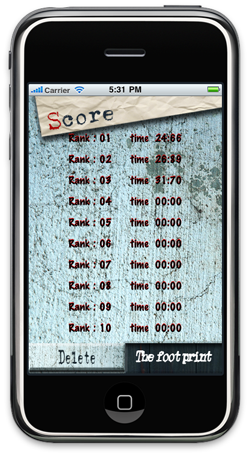 This is the game you need to remember the numbers. 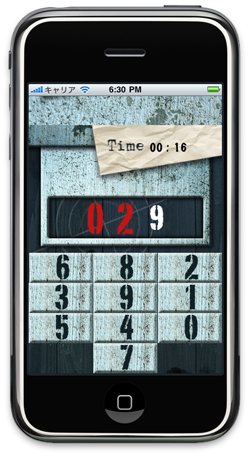 Enter the numbers you've remembered and when you done, press[Done]key. Your answers with red can't be erased, even if you press [Clear]key.